Portion handling......with position und orientation adjustment! The stationary 3D detection system, SKG500, is installed with a sufficiently large clearance above the brake discs being removed. 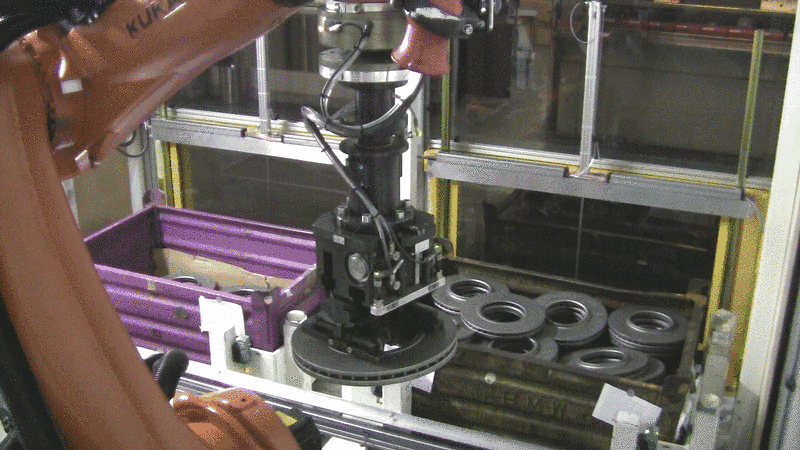 This ensures that removal by a robot takes place without any collisions. It is not just the position and the orientation of the brake discs that are determined optically, but also the lateral position. 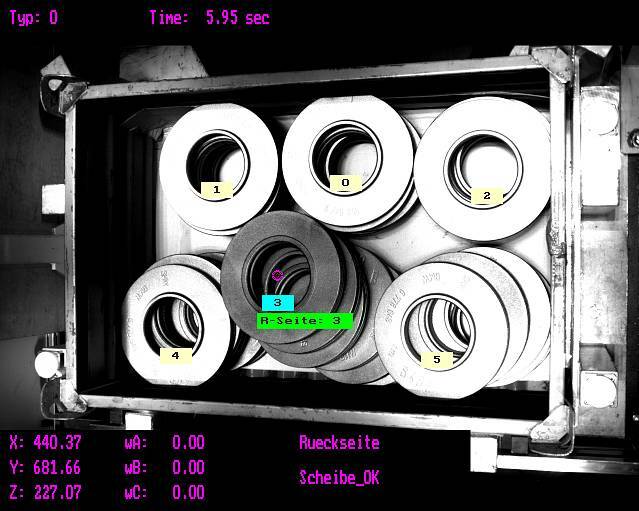 The information gained from the 3D image is transmitted to the system control, so that direct depositing to the downstream station (for type control) or to the turning unit can be made possible. 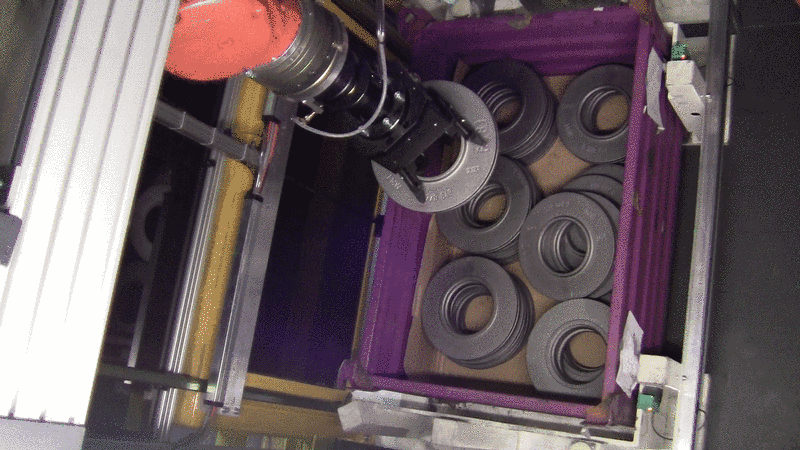 In addition, we have on offer (especially for round components) the 2½D type testing system, TPS400, which carries out type differentiation based on component contours, component identification and the component height profile.